To ask Cynthia Ripley Miller questions, please sign up.
" Thanks, R. I just wanted to be sure I understood. I've lost some really nice reviews on Amazon because the reader/reviewer must have purchased the boo Thanks, R. I just wanted to be sure I understood. I've lost some really nice reviews on Amazon because the reader/reviewer must have purchased the book elsewhere or from me. So, I don't mind buying a copy and also making my life easier. I read on a Kindle. Thanks! Cynthia ...more "
" K.T. wrote: "Part of a review group of romance books for the moderators to set up if there is enough interest. Yes, th K.T. wrote: "Part of a review group of romance books for the moderators to set up if there is enough interest. Yes, thanks. 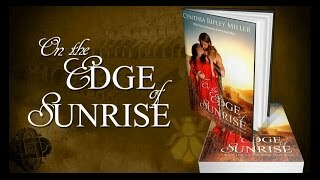 I write a historical romance series set in late ancient Rome. I would be interested. ...more "
" The Invention of Fire A medieval mystery centered around the creation of the 'handgonne'. John Gower is a poet and trader in secrets and a friend of C The Invention of Fire A medieval mystery centered around the creation of the 'handgonne'. John Gower is a poet and trader in secrets and a friend of Chaucer. He's caught up in the mystery of the mass murder of men 'bearing wounds none have seen before.' ...more "
What kind of yearly challenge would you like to see in the group? We’d love your help. Let us know what’s wrong with this preview of The Graveyard of the Hesperides by Lindsey Davis. I have just entered my book for review in genre specific review group. I thought you may be interested to enter your book? I said I would get in touch in September or October as I would like to swap reviews with your On the Edge of Sunrise. Are you still interested?